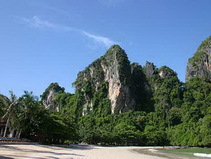 Krabi is an area of outstanding naturall beauty golden sandy beaches crystal clear waters with excellent marine life a snorkellers paradise! 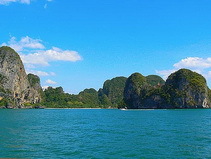 Many islands just towering out of the sea with amazing limestone rock formations. 07.00 Pick up from hotel and transfer to Rasada Harbor. 08.30 Depart from Rasada Harbour to Nopparat Thara Beach. 10.30 Arrive Nopparat Thara Beach and change by speed boat. - Chicken Island : Enjoy swimming & snorkeling among coral reef and Fishes. 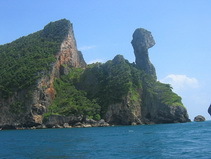 - Si Island : Popular location for excellent snorkeling the marine life here will amaze. - Tub Island : Relaxing the white sandy linkage between Tap Island and Chicken Island at low tide. 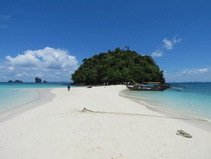 - Poda Island : Relax for sunbathing and sea sports. - Pranang Cae : Visit Pra Nang Cave to learn the history which is the sacred image for the local people. 15.30 Depart from Ao Nang Beach to Phuket by big boat. 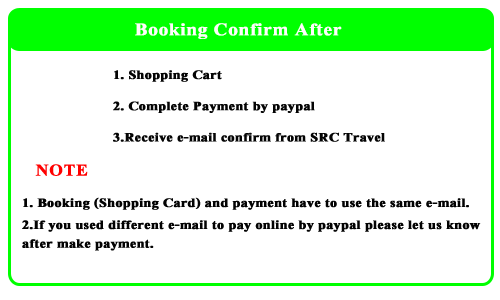 17.30 Arrive Phuket and transfer to hotel. National Park fee 400 baht per person " NOT INCLUDES" in this package.